Mazda has one of the most esoteric collections of cars in the basement of their Southern California facility, and they’re looking to expand that collection with perhaps the strangest car they’ve ever produced: The Mazda Millenia S. With a supercharged Miller-cycle 2.3-liter V6 engine, this large front-wheel-drive sedan replaced the rear-drive Mazda 929. The Millenia was as sporty as it was comfortable, going head-to-head with Nissan’s Maxima. While it was available in Japan from 1992 as the Eunos 800, the Millenia did not launch in the North American market until late 1994 as a 1995 model. The top-of-the-line Millenia S received standard full leather interior, heated seats, moonroof, remote keyless entry, and traction control, and the aforementioned ludicrously complex Miller-cycle V6. Mazda is said to be looking for a 1995 model, because later cars were less nicely equipped as standard. For example, following the 1997 re-design, the Millenia lost its aluminum hood in favor of a less expensive steel piece. Mazda’s Product Communications Specialist, Jacob Brown, has been championing the idea of adding a Millenia to the company’s fleet of historic vehicles for a while, and it seems he’s getting his wish. Being that this was the only production car to ever receive a Miller-cycle engine in the U.S. market, it makes sense that Mazda would want to preserve a car like this for the future. It’s a strangely cool car that deserves the place in history that it has earned. 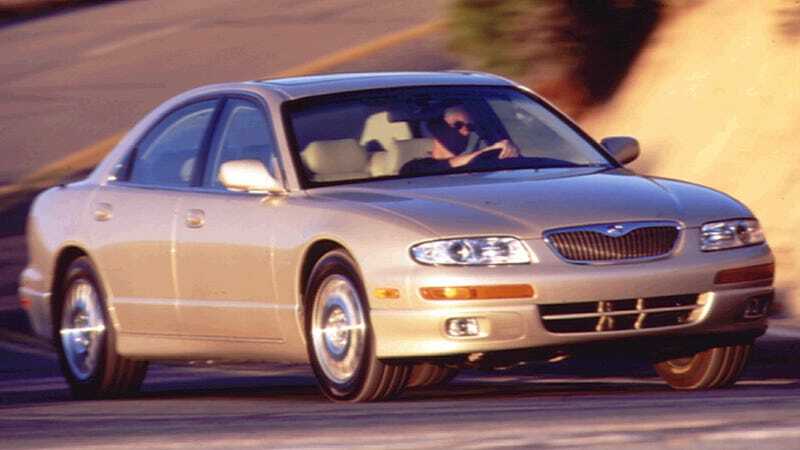 If you have a nice low-mile Millenia, and you’d like it to go to Mazda for eternal enshrinement, drop a line to tips@jalopnik.com, and we’ll put you in contact with them. You may recall that Mazda brought five of their significant cars from the collection out to Radwood 2 in Anaheim last month. Perhaps, if we’re lucky, there will be a perfect Millenia S at the next one. Perhaps, if we’re even luckier, Mazda will hand us the keys. Apropos of nothing, my high school football coach drove a Millenia S. I wonder if he still has it.